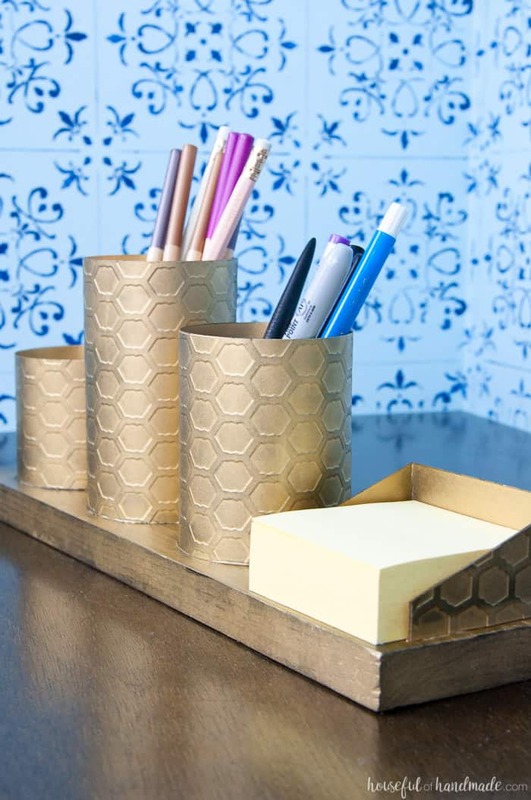 Recently we were sitting at our desk after class and realizing that we’ve actually already started to let the space get ever so slightly cluttered, so we started wondering whether we mind find any DIY options for keeping our desk tidy and organized. 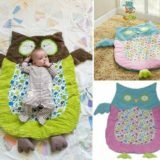 We hopped online in search of inspiration and we were pleasantly surprised with just how many options we found! 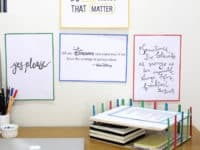 Just in case you’re feeling as enthusiastic about the idea of making your very own desk organizer this fall as we were, if not more, here are 15 of the very best tutorials that we came across in our search. 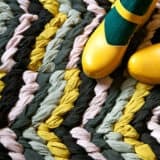 Perhaps you’re not actually the one attending classes right now but you’ve had your eyes open for awesome DIY school and homework area ideas for your kids? 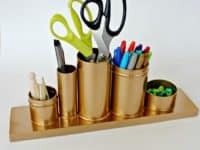 Well, we’d definitely suggest taking a look at how Living Well Mom made this fantastic desk organizer in a way that’s so simple that the little ones can actually help out with it! 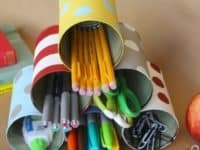 Their tutorial teaches you step by step how to make a cool looking spot to keep some of their homework and art supplies thanks to cardboard and washi tape. 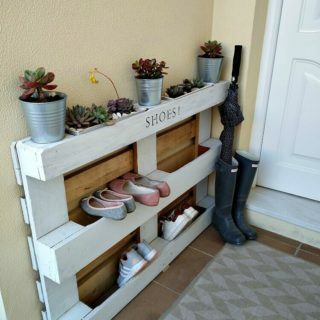 Have you always been a fan of DIY upcycled crate projects? Well, we can’t say we blame you, particularly since we’re pretty sure we actually have a crate project of some kind in just about every room of our house. 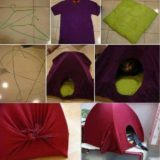 They’re just so useful! 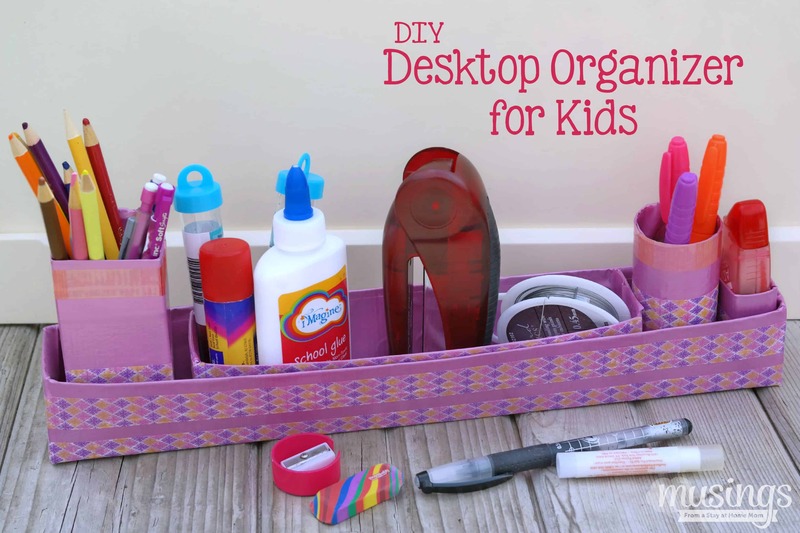 That’s probably why this fantastic repurposed crate desk organizer caught our eye so well. 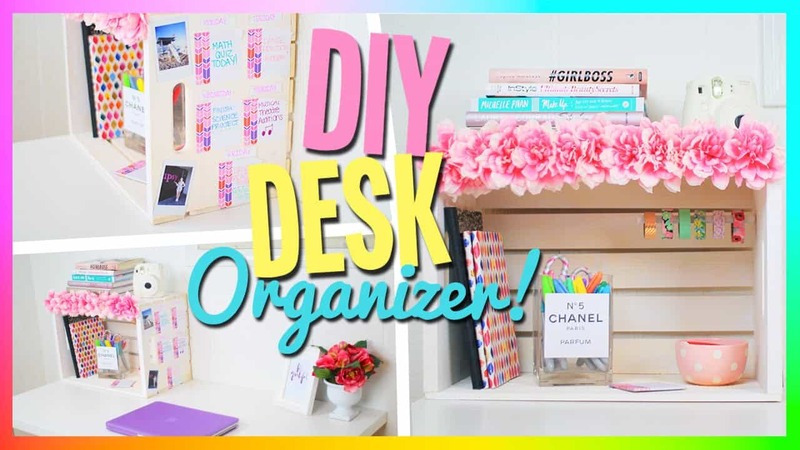 Check out how Miss Mikayla G made this simply by tilting the crate on its side to hold things like a pen jar and notebooks, but also decorated it with stickers, to do lists, washi tape, and even some fun faux flowers! 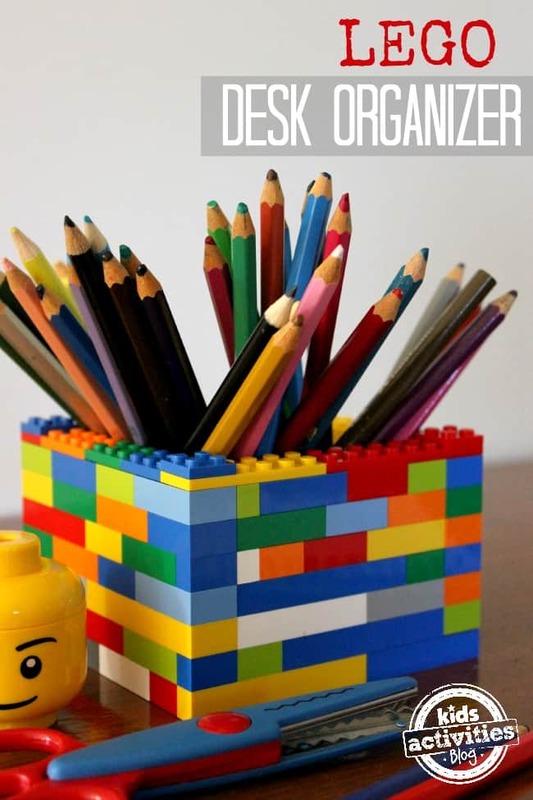 Whether the final organizer will be for you or your kids, did we really catch your eye with the idea of making one out of cardboard, even though you were kind of hoping to find something slightly more advanced looking? 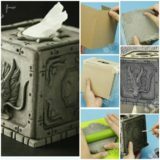 Well, we can definitely understand the need for things like extra shelves and drawers, so we’re sure it’ll come as no surprise to you that we were very pleased to find this awesome tutorial from Dixit Craft! 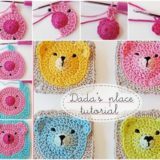 Their tutorial shows you how to make all kinds of colourful cardboard cubbies and shelves, as well as a drawer that actually slides. 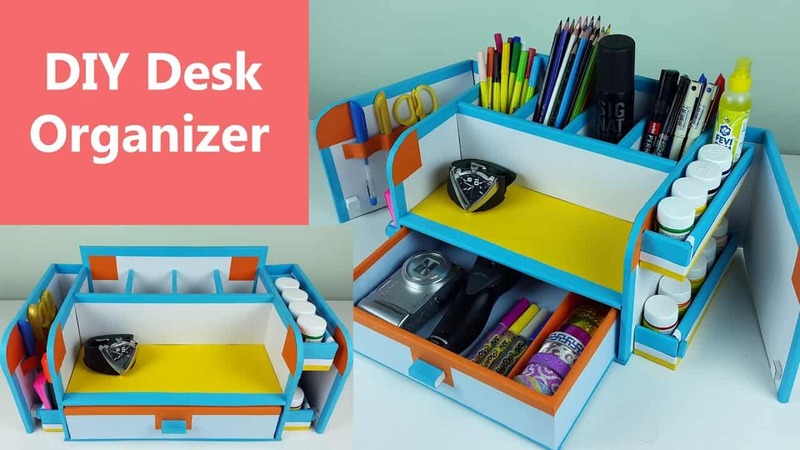 Have you actually been looking for a desk organizer that’s function for you to use but you might be interested in getting your kids to help you make it, so it also serves as a reminder of them while you’re working on it? 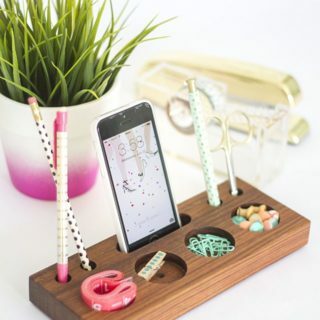 Then perhaps this awesome popsicle stick paper organizer featured step by step on The Craftables would work well for all of you! It’s simple to make but it’s also a great way to keep track of things you’ve already completed versus things you still need to get done. 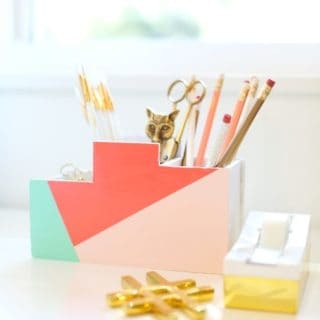 Have you actually just been looking for a way to keep track of your pens, pencils, and other similar writing tools because you can’t stand when they go scattering across your desk and falling onto the floor, but you’re also not a huge fan of leaving them in a drawer either? 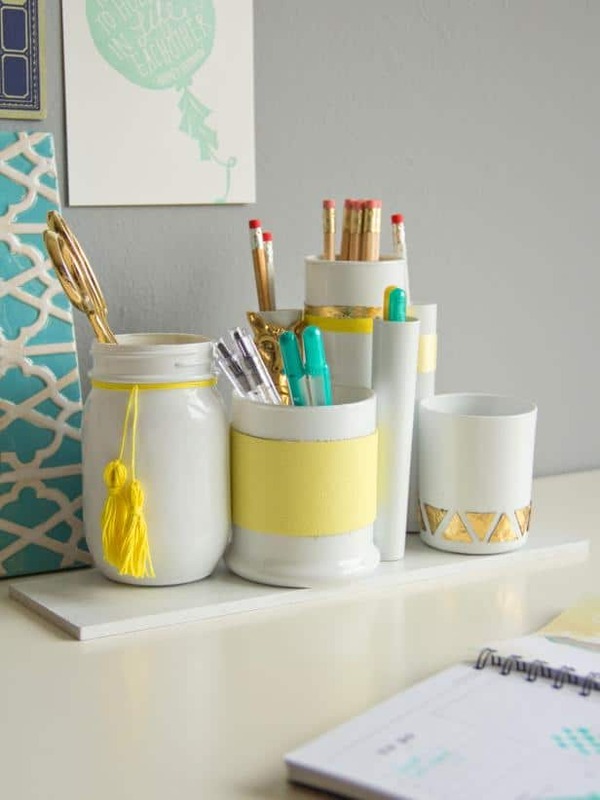 Well, if you’re in the mood for some more upcycling but you’d rather repurpose something a little more solid than just cardboard, we’d absolutely suggest taking a look at how HGTV made this painted am embellished series of writing utensil jars mounted on a plank! 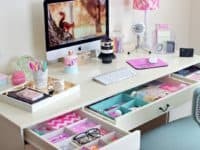 Are you actually fortunate enough to have the kind of desk that’s full of lots of useful drawers, but you’re such an organized person that you’re actually intent on finding a way even to organize what’s inside those drawers, rather than just throwing everything in and letting it all roll around in there? 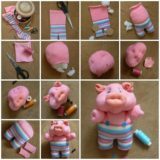 In that case, we think you’ll get along very well indeed with these DIY drawer inserts featured on Home Art Decor! 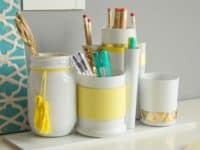 Were you intrigued and possibly even enamoured with the idea of the board mounted jar organizer that we showed you a little earlier on our list but you’re just not sure that the way it’s decorated quite fits your aesthetic? 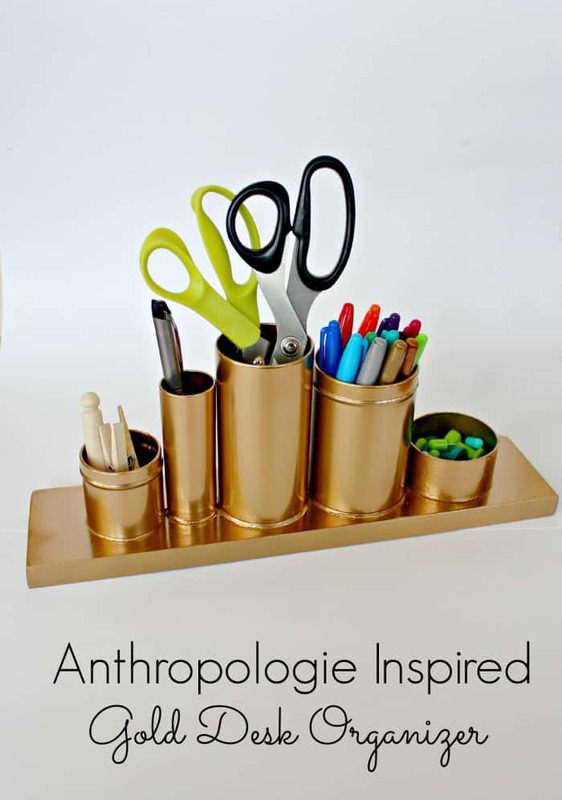 Well, if you’ve ever liked the idea of recreating brand name things for less, we think you might be rather interested in seeing how View From the Fridge made this wonderfully golden organizer that pays homage to a piece originally designed by Anthropologie. We know we’ve talked a lot about wood mounted pen holders by now, but can you tell that we absolutely have a style and type when it comes to this kind of thing? 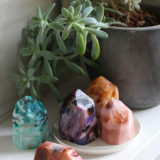 We just love them so much! 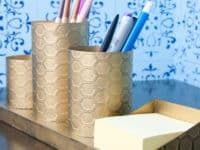 This particular tutorial featured on Houseful of Handmade is a little more hands-on for those who are feeling up for a challenge because it actually guides you step by step through making an organizer made of painted brass. 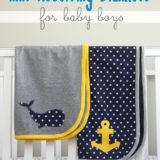 Have you actually still been scrolling through our list thinking about which kinds of organizer options might be best for your kids, since they’re the ones going back to school rather than you, but you’re also looking for something that they’ll think is particularly fun to both make and use, just to keep them interested? 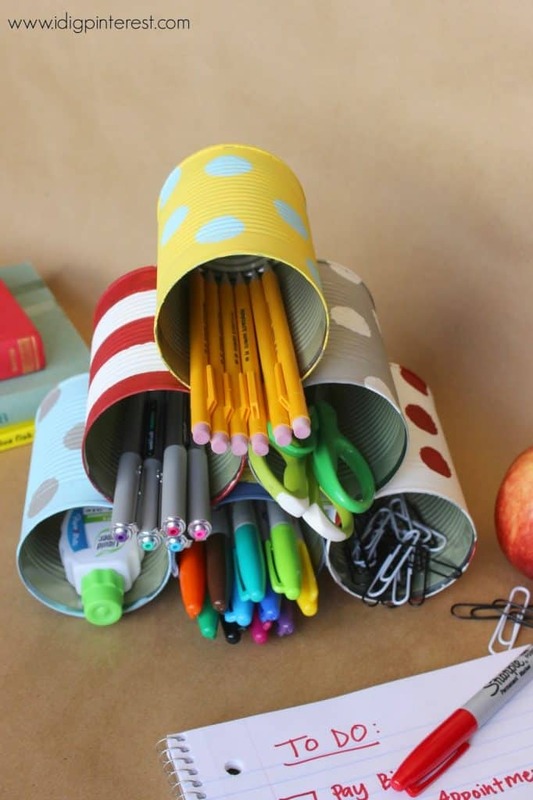 In that case, we’d absolutely suggest taking a look at how Busy Creating Memories made this fantastic rotating homework station that will give them easy access to everything they need to get their homework done nice and quickly! 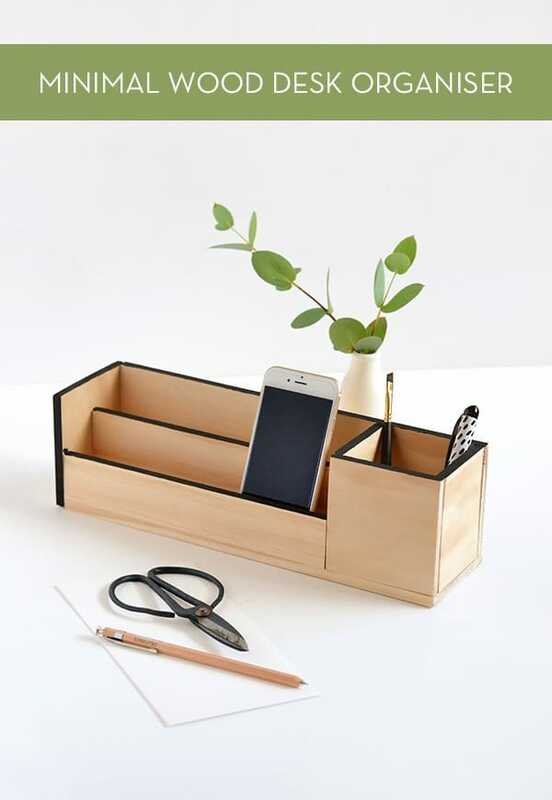 Has the element of these organizer that has actually caught your eye the most solidly so far really been the wooden base, since you have a little bit of experience in woodworking? Well, in that case, perhaps you’d actually prefer to make an entire organizer out of wood instead of just using it as a bottom to affix other things! 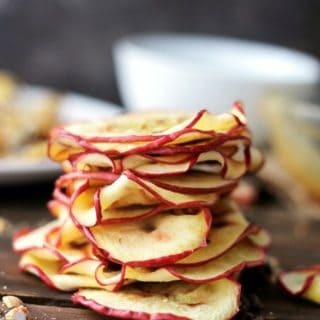 That’s precisely what Curbly is here to show you how to do, in a way that looks fantastically sleek and professional even though it’s not really as difficult to make as it seems. 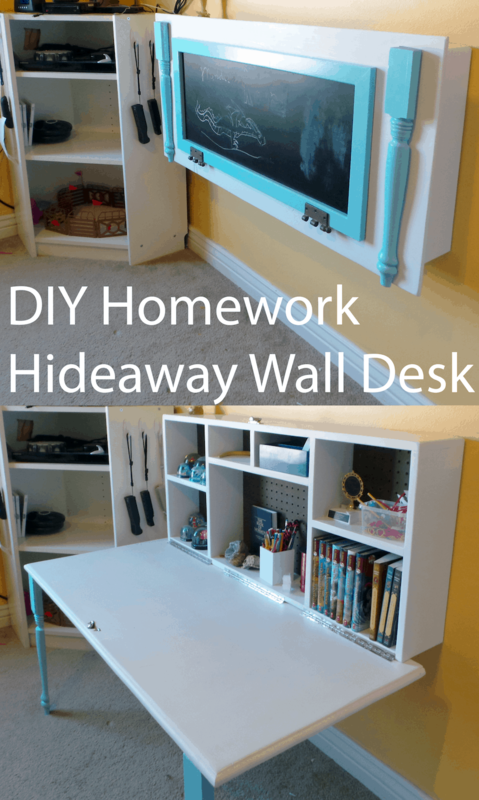 What if, rather than simply organizing the top of your desk, or helping your kids organize theirs, you actually made a fully DIY desk that’s so space efficient… it even stores itself away? That might sound a little strange at first but we think you’ll be very impressed indeed to see how Warehouse Mold hand crafted this desk that is mounted to the bottom of a very useful storage shelf so that everything you might need while working there can be organize. 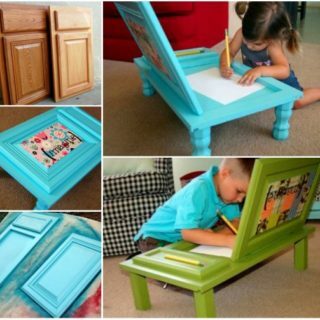 Fold the desk up when you’re finished and voila! Can’t get more organized than that. 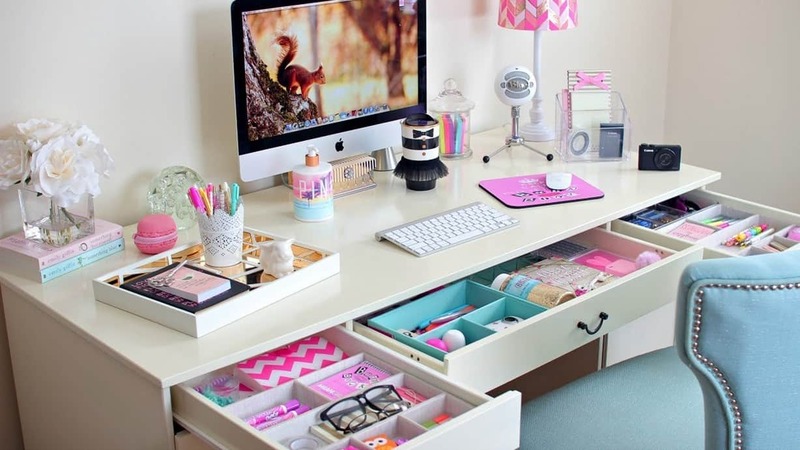 Are you actually pretty good at keeping your work surface clean and uncluttered so long as you have somewhere available to put the things you need while you’re working there, but your space could definitely use a few more storage options than it currently has? 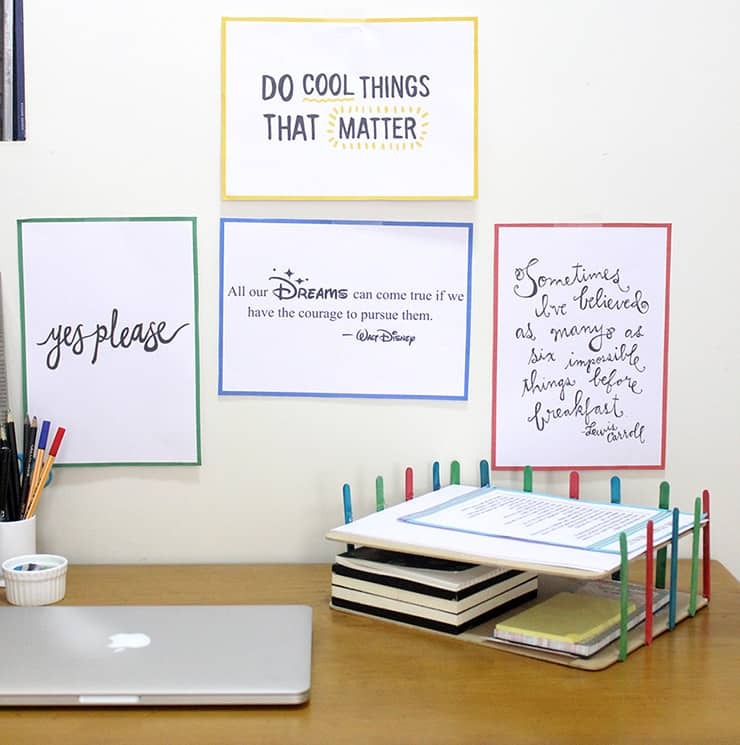 Well, if you have any blank wall space right in front of you, above the desk, we’d suggest making use of it! 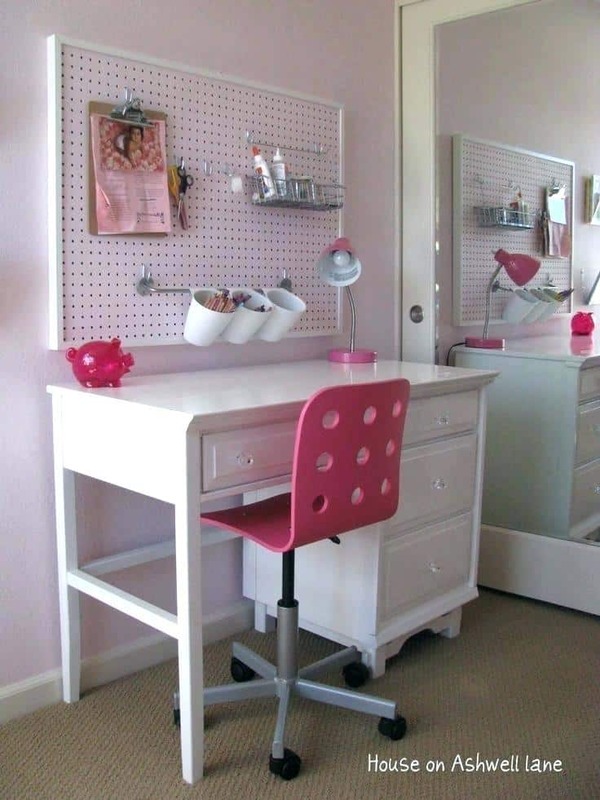 Personally, we adore the way The House on Ashwell Lane used a mounted pegboard and some hooks to keep their supplies up and out of the way but still easily accessible. 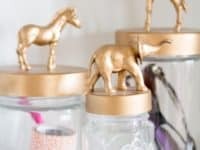 Are you actually the kind of person who always just loves having plenty or containers to organize your things into because you find that stops you from losing bits and pieces but you’re also very into kitschy decor, so you’ve been holding out for a design that’s very unique indeed? 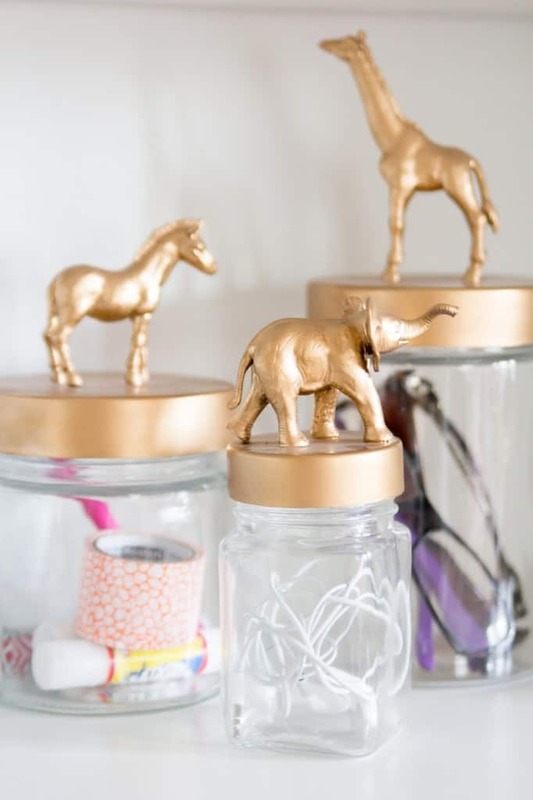 In that case, we have a feeling these golden toy animal storage jars outlined step by step on Homedit just might be right up your alley! 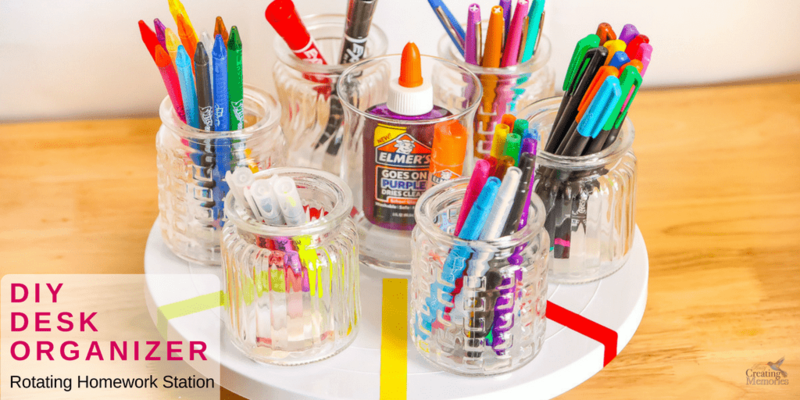 Have you been looking at all the pencil holder ideas and thinking about how much you enjoy the idea of creating something along that vein, but you’d rather get more creative in its structure and you also don’t have any mason jars on hand? Well, if you’ve got some tin cans laying around, all cleaned out and ready to be recycled, we’d suggest making a grab for those instead! 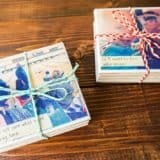 We adore the way I Dig Pinterest painted the outsides of their cans with stripes and polka dots and then glued them into a pyramid. 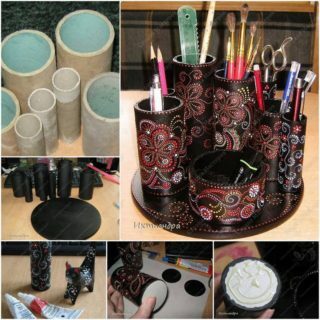 Set the organizer with the openings facing towards you so you can grab whichever supplies you need nice and easily. 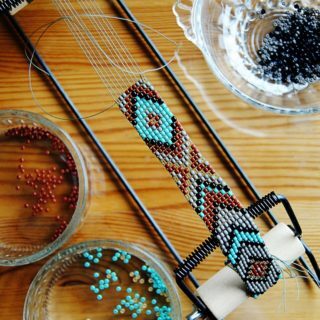 Are you actually still scrolling through our list in hopes of finding something for your kids to try their hand at making in order to organize their own desk, making crafting and homework time easier, but you just haven’t quite seen anything you think they’d really enjoy making yet? 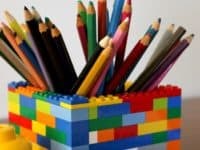 Well, if they’ve ever been Lego enthusiasts, we think perhaps they’ll get along rather well indeed with this very simple idea from Worthing Court for building a pencil holder out of lego blocks rather than crafting supplies!